Yasin Bhatkal: A resident of Bhatkal in the Uttara Kannada district of Karnataka, Yasin is believed to be running the Indian Mujahideen today. His name has been associated with all recent IM-orchestrated blasts and is considered to be the primary source of inspiration to the outfit's cadre. His aliases are Ahmed Siddibappa, Mohammad Zarrar, Ahmed, Imran, Asif and Shahrukh. His last known address is No 938, S M Zarrar Manzil, Jail Road, Ward No 03, Maqdum Colony, PS, Bhatkal, Karnataka. Riyaz Bhatkal: Riyaz was one of the founder members of the IM. He is said to have fled the country after the heat was stepped up on the outfit. He goes by the alias of Mohammad Riyaz, Ismail Shahbandri and Riyaz Ismail Shahbandri. There have been contradictory reports regarding Riyaz, but the NIA and the IB say that he is in Karachi today. His last known address is Fatima Manzil, Tenginagundi cross, Madina Colony, Bhatkal. 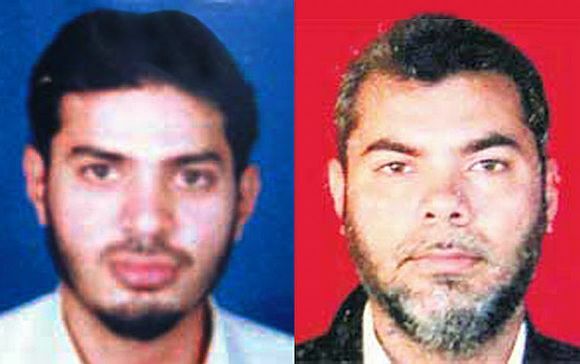 Iqbal Bhatkal: Riyaz Bhatkal's brother, Iqbal is also one of the founders of the IM. He goes by the alias Mohammad Iqbal and Bada Bhai. He too is said to be in Karachi. His last known address is No 314, Fatima Manzil, Tenginagundi cross, Madina Colony, Bhatkal. Mudassir: Holed up in Lahore currently, Mudassir is one of the best bomb makers in the IM. He was earlier part of the core group, but today newer recruits are sent to him for training. Mirza Beg: One of the key operatives who is on the run today, Beg is part of the IM's main command which works alongside Yasin Bhatkal. He is wanted in the German Bakery blasts case as well. He is a resident of Raja ka Quila, PS Kotwali, Azamgarh, UP. 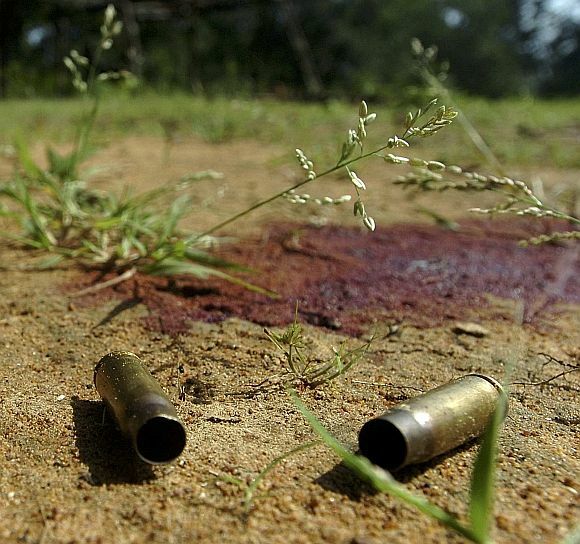 Dr Shahnawaz Alam: He was part of the Indian Mujahideen's Delhi unit. One of the initial members of the outfit, Alam's name had cropped up in the Batla House encounter. He goes by the alias Mister and is a resident of No 240, Village Sanjar Pur, P S Sarai Meer, Nizamabad, Dist, Azamgarh UP. Mohammad Sajid: Sajid was one of the persons who was credited with setting up modules both in UP and Bihar. He goes by the alias Bada Sajid. His last known address is No 237, Village Sanzar Pur, PS Sarai Meer, Tehsil Nizamabad, Azamgarh UP. Asadullah Akhtar: One of the accused in the Varanasi blasts, which was carried out after the Batla House encounter, this operative was based out of Sharjah for a long time when the IM was regrouping. He goes by the alias Danial. He is a resident of No 536, Near Ghulami Ka Pura (216 Baj Bahadur, behind Tediya Masjid, PS Kotwali, district Azamgarh, UP. Alamzeb Afridi: He was roped in to handle the Gujarat module and was also part of the blasts there. He has been part of the IM since day one. His whereabouts are unknown. Abdus Subhan: He is probably the smartest of them all. Earlier an editor with a SIMI newspaper, he made his entry into the IM the day it was launched. He was responsible for overseeing the technical operations of the Indian Mujahideen. Today he is in Pakistan. 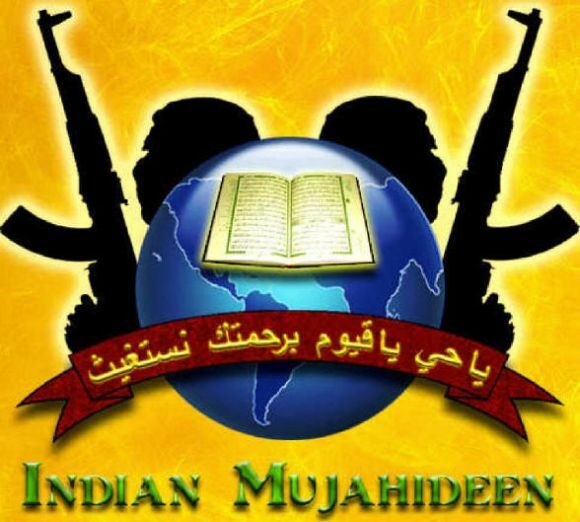 Abu Faisal: A close aide of Subhan, he set up the Pune module. Currently based in Karachi, he was with IM's Maharashtra module and was largely involved in setting up one of the strongest modules in the state at Pune. When Subhan was in the country, he worked closely with him and helped him set up the outfit. Mohsin: He goes by the alias Ismail Choudhary. Mohsin had played a key role in the Pune blasts and has been handling the Maharashtra module of the IM. His last known address is flat number 3, 1st Floor, Manisha Complex, Mitha Nagar, Kondhwa Khurd, Pune, Maharashtra.